Our strategy documents, annual reports, spending reviews and equality schemes. Children deserve better from family justice system – Ministry of Justice. 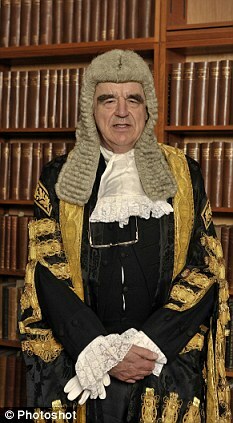 Sir Nicholas Wall said his colleague Judge Tyzack had ‘plainly reached the wrong conclusion’. The nation’s top family judge today broke a father’s heart when he gave permission for his ex-lover and their children to move to Australian – and said they could communicate via Skype. Totally unacceptable the taxpayers have already forked out thousands of pounds with regards to the serious case review from the Baby Peter tragedy and now we are forced to pay more out for her appeal SCANDALOUS. Shoesmith was payed a fat cat salary to oversee her team of so called profeshionals to safeguard vulnerable children, she and her team failed miserably. Her arrogance is beyond belief, she should have the decency to roll to the back of beyond and live on her pension payout. IT WILL BE A MOCKERY IF SHE WINS THIS CASE AND NO JUSTICE FOR A SMALL BOY THAT SHOULD BE LOOKING FORWARD TO EASTER. A report has said police failed to protect a woman from an obsessive ex-partner who subjected her to months of threats before he stabbed her. Simon Lockton knifed the mother of two five times – in the legs and abdomen – in front of horrified children and parents outside Greenfield Primary School, Countesthorpe, in April last year. The chance of getting into Parliament to represent you does not come up very often – we want to seize the opportunity and would ask that you help us in our campaign. We need to print leaflets to go into every home in Glasgow – they will be delivered FREE by the Royal mail. We also need to have leaflets to distribute on the streets.